he timeless waves of the Pacific Ocean assert themselves into every nook and cranny of coastal terra firma. The young and carefree Santa Lucia Mountains rush down to meet the challenge. The marriage finds happy compromise as first the land fingers its way out, then retreats in surrender to the sea. This eternal dance brings astonishing vistas and warm smiles to all who visit. This is Big Sur. 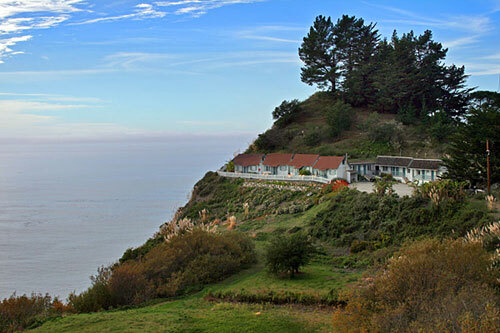 Along this dramatic corridor, perched above the surf and clinging to the ocean cliffs, lies Lucia Lodge. 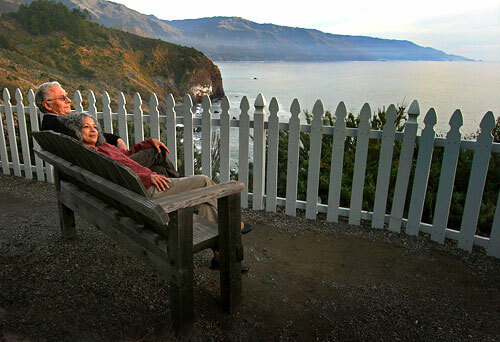 Constructed by one of Big Sur’s 19th century pioneer families, the fifth generation of the Harlan family welcomes you to the village of Lucia, named after the metamorphic mountains that surround it.